We started the weekend seeded 13th and looking to continue where we’d left off after the first two Mixed Tour events – having only lost one game so far. However, the brackets had been shuffled around and we were playing up for the first time this season meaning we would have to be at full throttle straight away. 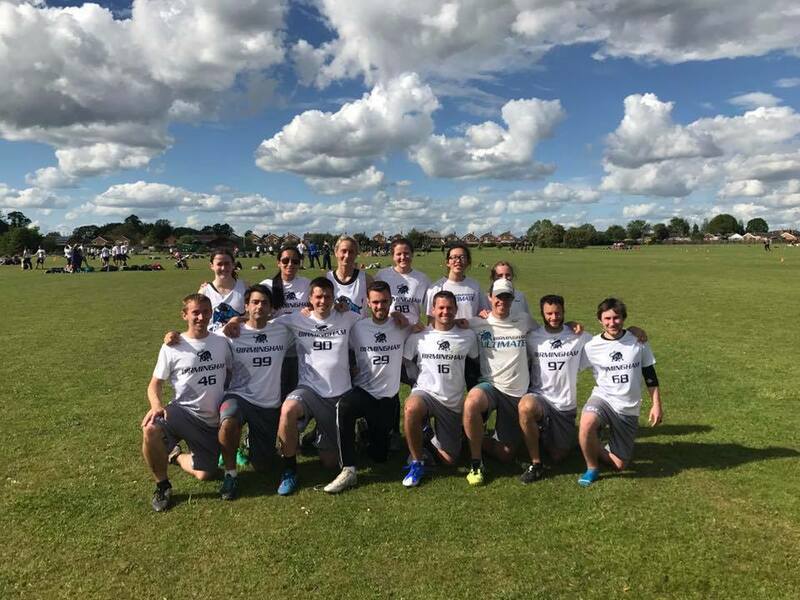 Our pool consisted of TBC (10th), Cambridge (12th), us and GB U24 White (15th) and we needed a top two finish to earn the chance of getting into the top 8. First up were the top seeds from the pool, TBC. We started a bit flat and let them ease into the game; even though both teams were struggling a little to get to grips with the wind, we gave them too many chances and eventually they started connecting. When we finally started to come back into it we had given up to much of a lead and they saw the game out 7-13. We were straight back into the action against GB U24 White, but somehow we started really slowly again – giving up a 4 or 5 point run to start the game. As time became a factor we were still down by a sizeable margin and things were looking pretty dire. Before the game was done though we started to come back into it and firmly had the momentum heading into the cap, but again we had left it too late and they eventually got the point they needed to take an 8-11 win. Even after a gap and a chance to reflect on the mornings’ games we started our final game against Cambridge in similar style to those before it – by going 4 or 5-0 down. With another tough task ahead of us we started to go through the gears and put the pressure on them, slowly clawing our way back on the scoreboard and making a game of it. Once more though the bad start came back to haunt us as we couldn’t close the gap in time and fell to another loss, 7-10. A difficult day meant that we had dropped to the bottom of the group and would be defending our spot in the top 16 first thing on Sunday. Late in the games we had shown what we were capable of, but the lack of intensity and the slow starts were dragging us down. In our quarter final we were up against Thundering Herd 1 in a rematch of our final game from Mixed Tour 2. We were sure they would be up for it as it was that loss that had confined them to starting in the bracket below us at Tour 3. Even before the game started there was more energy about us than there had been all day on Saturday and even though we didn’t start at 100% we were in it from the off and were starting to find our game at last. As things were threatening to get a bit heated the captains came together to call a spirit time out just to calm things down – this proved to be the right call and from there the game was played with good spirit and high intensity by both teams. It stayed tight all the way to the end and we managed to cling on to a 10-8 win and keep ourselves in the top 16. By winning that game we had also avoided the long walk for the next game (as a side point here – is putting back to back games on pitches that are a good 5-10 minute walk apart not avoidable?!). It turns out that we would be glad of the extra rest it afforded us… our next opponents (JR) were nearly 25 minutes late to the game because they were in the midst of an epic comeback in their quarter final. Of course we had no idea what was happening over-the-road-and-far-away until a messenger arrived to say that they would actually be coming to play the game! All that meant that the game was going to be pretty short and we definitely couldn’t afford another slow start. Happily we didn’t fall into that trap and actually started well for once, taking a 4 point lead early on. Knowing that the game was going to be a short one could have meant that we took our foot off the pedal and coasted the rest of the way, but we kept the pressure up and took a good 10-4 win. 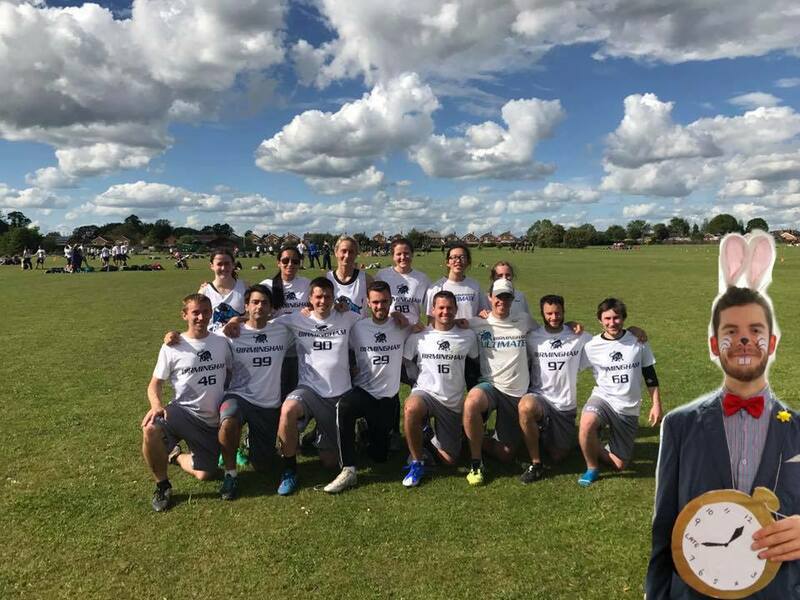 So we were almost back where we started in the 13v14 final against Brighton Breezy (which turned out to be the plate final – shame that wasn’t the case at Tour 2!). They are a team that we are used to seeing further up the standings and had gone undefeated the rest of the weekend but we gave them a good game to finish. It finished 6-10 to them, but it was close all game and it was only a little run they put together towards the end that decided it. Their zone D really made us work for the points and even though we got turnovers on them we just couldn’t convert enough to make the difference. We finished in 14th. As disappointing as Saturday had been it was good to see that we came back and fought our way to the top game in the bracket on Sunday. A great way to round out Mixed Tour!